This paper deals with dynamic analysis of bridge crane with one main girder during telpher motion in order to determine dynamic behavior and oscillations while carrying full load. During the telpher motion the main girders and side girders are heavy loaded parts while they undergo forces, moments and oscillations from lifting mechanism that carries workload. The method of analysis is the comparison of results gained through modeling and simulation and experimental measurements. The analysis will be concentrated in finding the nature of dynamic forces, moments and stresses that acts on main crane’s parts and finding the extent and form of oscillations that can cause damage and failures. Also the interest is to study the effects of load swinging in crane’s stability. Results will be shown in the form of diagrams as the solution results of the tested system. Crane is modeled from standard manufacturer, as a special type of Bridge Crane with one main girder and telpher. Conclusions of these analyses are useful for design considerations, dynamic behavior and safety. The article presents the process of blowing out PET bottles. PET is processed for various applications due to its very good physical properties. In the packaging industry it is used for the production of PET bottles. The concepts of Blow molding is a process used to produce hollow objects from thermoplastic. The basic blow molding process has two fundamental phases. The first phase of the device’s operation consists in heating preforms. The second phase consists in the mechanical extension of the preforms on the axes and on the extension by means of pre-blowing and then blowing the preforms. The discussion was prepared on the basis of the collected literature data. The importance of Big Data and Big Data Mining is growing significantly in recent years. Different kind of e-sources as social networks, e-commerce sites, e-mails, sensors, etc. are generating large amount of structured and unstructured numerical and text data. This data provides valuable information about costumer’s preferences or ratings of products or commodities. This information is essential for making predictions on the base of the sentiment analysis of this data. The sentiment analysis of large amount of text data requires specific big data and machine learning /ML/ libraries. In this paper the implementation of a system for big data sentiment analysis using ML algorithms is proposed. It is based on Naïve Bayes and Support Vector Machines /SVM/ classification ML algorithms for text analysis. The system is implemented in Java and uses Apache Spark ML libraries which are very flexible, fast and scalable. The system is tested with well known Amazon dataset and its performance is measured in form of accuracy. The obtained results approve the effectiveness of big data sentiment analysis algorithms. The System can be applied for recommendation of products and services or predictions of customers’ needs. This research proposes modelling, simulation and implementation of autonomous unmanned quadrotor prototype based on Matlab Simulink software, and Mission Planner for communicating with APM control board of the quadrotor. The goal is to Control attitude and altitude over a desired trajectory of the Quadrotor using PID control, with high precision and reliability. The mathematical model used for simulation takes into account all differential equations of motion of the quadrotor. A full quadrotor prototype was assembled for real experiments to do a comparison between real and simulated data. This comparison reveals the reliability and the accuracy of the PID controller and the mathematical model used in Matlab. The article is devoted to the study of the complex of modern management tools aimed at improving the efficiency of enterprise management. According to the results of the study, the directions of the company’s development based on the application of the best practices of company management were determined. From the modern point of view, the approaches to enterprise management are systematized and refined. The developed recommendations for improving management are brought to concrete proposals, the implementation of which will improve the stability of the enterprise. In this study, the electrical conductivities and hydrophobic/hydrophilic properties of Polyacrylonitrile (PAN) + Polymethyl methacrylate (PMMA) composite nanofibers reinforced with nanowires were be investigated. The nanofibers are produced by the electrospin method. Their electrical conductivities and their hydrophobic/ hydrophilic properties were examined. The maximum the electrical conductivity value is 0.00298 S/cm at PAN + PMMA composite nanofibers with Ag nanowires (5 wt. %). The the biggest static contact angle occurred in PAN+PMMA composite nanofibers with 1 wt. % Ag nanowire. The static contact angles of all PAN + PMMA composite nanofibers with Ag nanowire were found to be bigger than those of PAN + PMMA composite nanofibers. The work is a part of researches of the technical characteristics of 20 types of medical titanium implants for traumatology and orthopedics with antibiogenic coating of titanium and hafnium nitrides in accordance with technical conditions of the manufacturer of the implants – JSC “Medmash”, Russia. Based on a titanium alloy the implant with antibiogenic coating is a product coated with titanium and hafnium nitride by high-frequency magnetron sputtering. In the present article, the structure, phase composition, distribution of elements on the surface and thickness (Ti-Hf)N-coatings with different hafnium content (Ti:Hf ratio) were investigated. 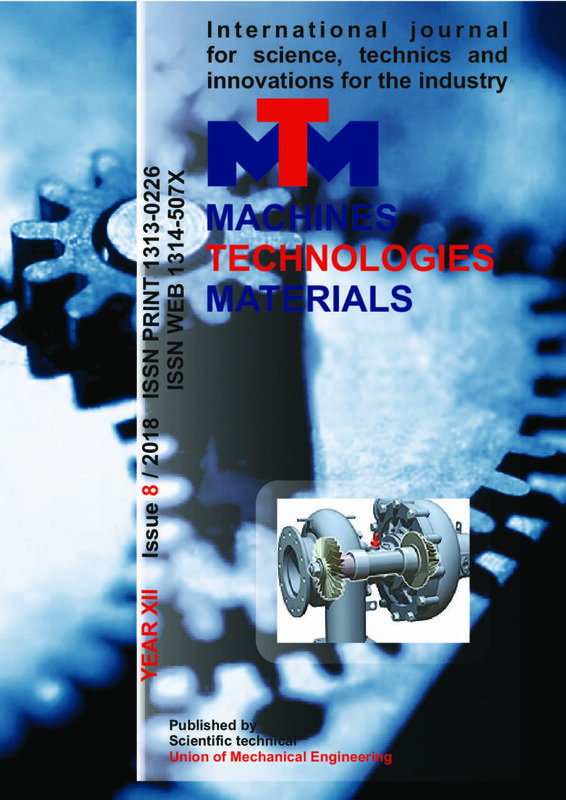 The studies were carried out on model samples in the form of plates of titanium alloy VT6, which were coated with titanium and hafnium nitride by magnetron sputtering. Also, changes in the thickness of the hardness and modulus of elasticity of the coatings were measured by the method of instrumental indentation. The maximum values of hardness (~35 GPa) and modulus of elasticity (~500 GPa) were obtained from coatings of composition (Ti0.85Hf0.15)N and (Ti0.8Hf0.2)N. The coatings with these compositions have the most uniform Hf thickness distribution. The specifications for manufacturing of relit (WC + W2C) granular powder by the method of explosive evaporation of condensation in vacuum using electron-beam technologies are presented. It is established that when depositing material on cooled surfaces, it is possible to refine the precipitation products by metallic and non-metallic impurities, depending on the elasticity of their vapors. Features of the structure of blends obtained by thermomechanical blending of thermoplastic components with different molecular structure are considered. The possibility of formation of structures with different levels of ordering (from heterophase structure with a pronounced boundary between the components to the macrogomogeneous structure with high compatibility of matrix and modifying components) is shown. Under injection of nanosize particles with different chemical composition into the blends, a synergistic effect of simultaneously increasing the parameters of tensile stress-strain and tribotechnical characteristics of items and its resistance to thermal oxidation is achieved. Nanosize particles in the active state perform the function of a physical compatibilizer, forming a cross-linked structure with physical bonds in the volume of the composite. The engineering nanoblends with increased performance parameters have been developed.